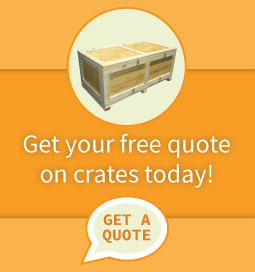 Most wooden shipping crate designs are driven by proven military specifications (Mil-Spec), updated by the ASTM and must be specially designed for the size, weight, shape, fragility, sensitivity and destination of the item to be shipped. To us, standards are only the starting point. Unique products require unique packaging designed for specialized material handling, loading and unloading, blocking and bracing, and shock and vibration protection requirements. We work with you to assess your requirements and design and manufacture the right specification for your application. 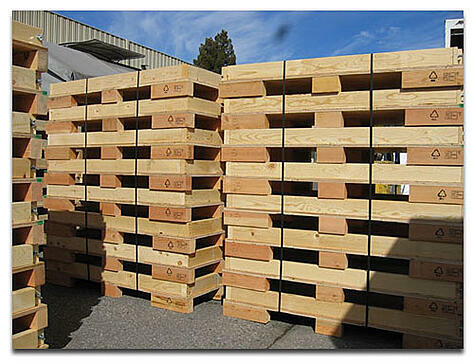 All of our wooden shipping crates are ISPM-15 compliant, heat treated and appropriately marked for export. Products sensitive to shock and vibration require additional protection in shipping, both to secure it in place while shipping, and also to mitigate the damaging effects of supply chain handling, warehousing and transportation via truck, rail and air. We work with a number of specialty foams and dampeners to meet your shock and vibration requirements. Most important, we take an engineering approach to design and foam specification versus just “rules of thumb” or what “looks good.” We calculate your requirements and show you how we got there. Sometimes, full wooden shipping crates may be overkill for the application, or costly and difficult to recycle for a one-way trip. On the other hand, a corrugated box may not be up to the job, or can be very expensive in lower quantities. The solution may be a combo or hybrid pack. 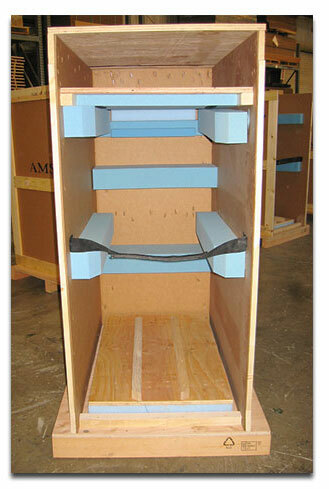 Combine a wooden or floater base with a corrugated container or shroud. Or, when stacking and strength is required, but cost is an issue, substitute the crate plywood sheathing with double-wall corrugated. Large, heavy equipment requires specialty skids in order to safely lift and transport them without damage. Proper design for the equipment weight, weight distribution, it’s center of gravity, handling environment, blocking and bracing, and appropriate stiffness and rigidity all comes into play. We understand how to work with larger timbers and dimension lumber, the specialty hardware required, keep it in stock and have the right machinery so you can be assured your shipment will load and arrive safely.